It seems a long concerto away from Indiana University and classical violin studies to Prairie Home Companion and “Gypsy Mania.” Perhaps bringing his swinging 4-string orchestra to an intimate concert stage is the perfect compromise for Gary Schulte. 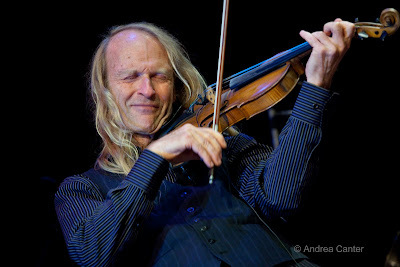 From gigs with the Twin Cities Hot Club and Sidewalk Café to duets with the likes of Robert Bell and Reynold Philipsek, Gary mesmerizes with his face as much as with his violin. You can see the music with every note. Last night he was the featured guest with vocalist Pippi Ardennia at her PipJazz series at Landmark Center. And it wasn’t all hot club fare—Schulte paid homage to the great Wes Montgomery with “Road Song.” Still, it was “Gypsy Mania” that brought down the house.